"Words are a powerful thing and can be a barrier to women's advancement. It's time for action this International Women's Day," says Lorraine Hariton, President and CEO of Catalyst. Catalyst is focused on creating workplaces that work for women and marks International Women's Day through a bold campaign aimed at tackling one of the biggest gender equality issues in the workplace: unconscious gender bias. Catalyst's campaign, which features women from diverse industries, aims to shine a light on the power of words used to describe women and encourage people to #BiasCorrect by paying more attention to theirs. "Women and men with the same talents and skills are often described in very different ways due to unconscious gender bias, creating invisible barriers that can have an enormous impact on women's advancement," said Lorraine Hariton. "The good news is Catalyst's resources provide ways people can overcome their own unconscious biases. The #BiasCorrect campaign is designed to spark conversations around the power of words, and more importantly, to inspire learning and action." Catalyst's #BiasCorrect webpage provides unique resources to help individuals understand unconscious bias, interrupt it, and correct it. 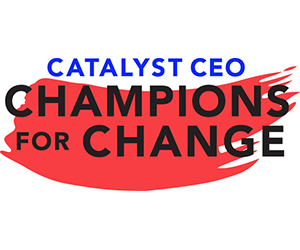 The site includes videos, customizable social media posts for download, and information on how individuals and companies can combat unconscious bias, such as the soon-to-be released Catalyst Inclusion Accelerator, a leading-edge diagnostic tool designed to evaluate and monitor how employees are experiencing inclusion. Among the tools offered in the campaign is a #BiasCorrect Plug-in to tag unconscious bias in real-time conversations on work-based chat platforms such as lack. The plug-in identifies words that create harmful gender stereotypes and suggests alternative language. For instance, if a woman is described as "aggressive", the app suggests correcting the sentiment to "assertive." 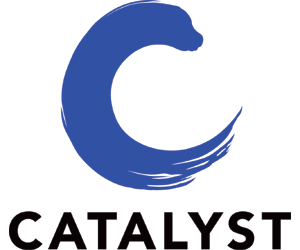 Catalyst is a global nonprofit working with some of the world's most powerful CEOs and leading companies to help build workplaces that work for women. Founded in 1962, Catalyst drives change with pioneering research, practical tools, and proven solutions to accelerate and advance women into leadership - because progress for women is progress for everyone. Catalyst has been an International Women's Day Charity of Choice since 2016 and shares a congruent set of values and purpose in working to improve workplaces for women worldwide.